UPSC Prelims Mock Tests – Join Now and Start Test-Taking! Enroll in ClearIAS CSAT Mock Test Pakcage to boost your marks in UPSC Prelims General Studies Paper 2. Are you looking to practise previous year UPSC Civil Service Exam question papers (General Studies Paper 1)? Then look no further than this ClearIAS Package. We provide re-take options of UPSC CSE Exams (2011-2018). Are you looking to practise previous year UPSC Civil Service Exam question papers (General Studies Paper 2)? Then look no further than this ClearIAS Package. We provide re-take options of UPSC CSE Exams (2011-2018). We upload our full-length online mock tests sticking to a schedule, but once tests are uploaded, aspirants can take tests as per their convenience – at any time they wish before Prelims 2019! 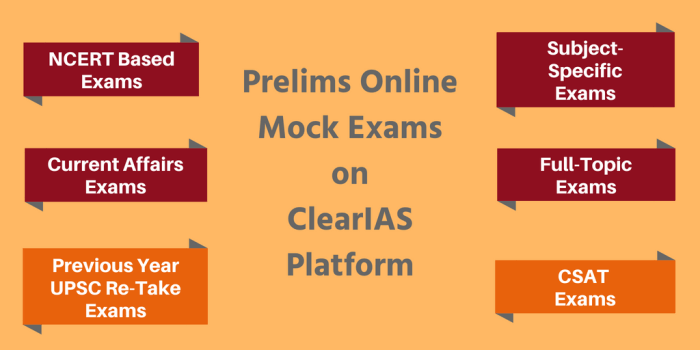 How can you enroll in ClearIAS Prelims Online Mock Exam Series? Aspirants need to first register on this website before attempting tests (free or paid). The whole registration process is very simple and hardly takes 2 minutes. In the registration form, users need to give a username, email id, and password. After registration, users need to confirm their email by clicking on the link received in the email id given. That’s all. You are ready to log in! Check “My Account” to see the list of mock exams to complete. Once an exam is completed, the same can be revised from the section “Completed Exams” in My Account or Performance Analysis. Detailed solutions and performance analysis will be provided to each user account (‘My Account’⇒ ‘Completed Exams’⇒ Details ⇒ View). There are free as well as paid mock exams in the platform. 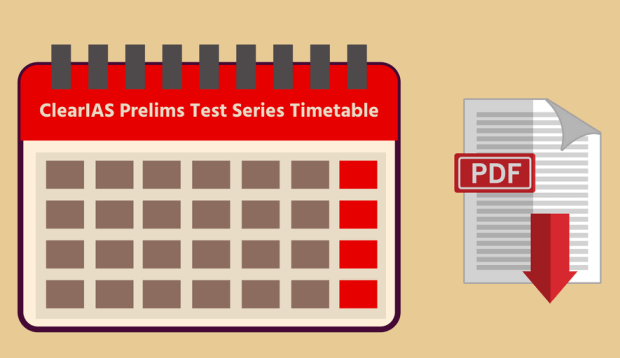 Our flagship service is ClearIAS Prelims Test Series. You can buy a Prelims Test Series Package as a whole (40 exams @ Rs.4999) or buy individual mock exams at Rs.400 each. We also run add-on mock exam packages to further boost your score.